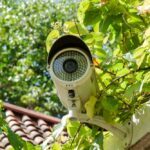 With concerns about crime and safety, home security systems have come into demand in recent years. Statistics show that houses protected by security systems are only a third as likely as unprotected housed to be burglarized, and those broken into tend to have much smaller losses. Electronic security systems that connect to phone lines are offered by telephone monitoring services that respond to calls. These services can track not only burglaries but medical emergencies and fires. Home alarms may be monitored or non-monitored, meaning they’re either linked to a central monitoring response office or they are simply linked to an alarm mounted on the house. 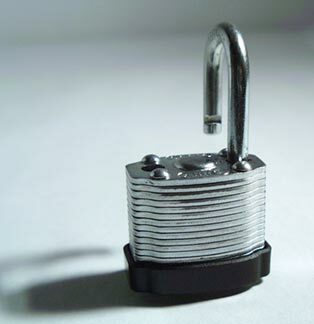 Alarm companies charge a monthly fee in addition to the installation fee. The monthly fee is based on the options you have chosen and the length of your contract. Monitoring companies receive an intruder signal when the system is tripped and the control panel sends relevant information to the central monitoring station over standard phone lines. You are then contacted by the station within 10 seconds, either by telephone or over the intercom system. The station asks you to verify yourself using your name and pass code. If you cannot provide the pass code, the monitoring station sends the police. When you sign up with a monitoring station, you provide information on the primary, secondary, and tertiary contacts to be notified if you are not at home. Smaller alarm companies often contract with third-party monitoring stations. Typically, this arrangement costs you less but is riskier because smaller alarm companies do not have to adhere to the same standards as the large ones. Large home security monitoring companies usually have in-house central stations that simultaneously watch over thousands of homes and businesses. These services cost more because they are verified by the independent non-profit Underwriters Laboratories (UL), which tests their products and services for maximum safety and reliability. Larger, internally managed stations must also contact authorities within 45 seconds and have a reliable back-up system of 10 to 15 days in case of a power outage. A non-monitored alarm system, which is not linked to a central monitoring station, costs a lot less. This type of system dials the local police directly when your system detects an intruder or sounds a siren and/or flashes your home’s exterior lights. With non-monitored security, you eliminate monthly service fees, but you run the risk of being fined by local police for false alarms. In addition, response time by the police is not guaranteed, and, if you live in an urban area, you may not be able to count on neighbors responding, especially given the time of day of the break-in. There are two main types of systems installed in homes: wired and wireless. Both types consist of sensors placed at strategic locations throughout the house that communicate with a central control unit. The control unit, in turn, is linked to an alarm and, in some cases, to an automatic telephone dialer or Internet connection that summons help from a monitoring company. A wired security system is connected by small, low-voltage wires; because such a system requires routing wire discreetly throughout the house, it’s usually installed by an alarm company, although some do-it-yourself models are available. A wireless security system employs tiny radio transmitters that can signal the central control unit when activated. Although it’s a bit less reliable than a wired model, it’s much easier to install. All control units have batteries that kick in if there is a power failure or if the wires are cut. Some even have batteries that automatically recharge when the unit is online with the household power. • Standard for all systems, the hidden control panel, with its power source, is the brains of the system and is connected to all other components, including one standard phone line. • A security keypad is also standard and designed for easy arming and disarming. For convenience, the keypad tells you whether your system is armed correctly or not. For an additional cost, you may have additional keypads installed. • PIR (Passive Infrared) Detectors, commonly known as motion detectors, use sensors to detect changes in infrared energy levels in the form of heat and motion. Typically, they are installed high up on walls, or over doors or windows. Look for sensors that meet American National Standards Institute and SIAC standards. Installers should be certified with The National Burglar & Fire Alarm Association and/or by state. 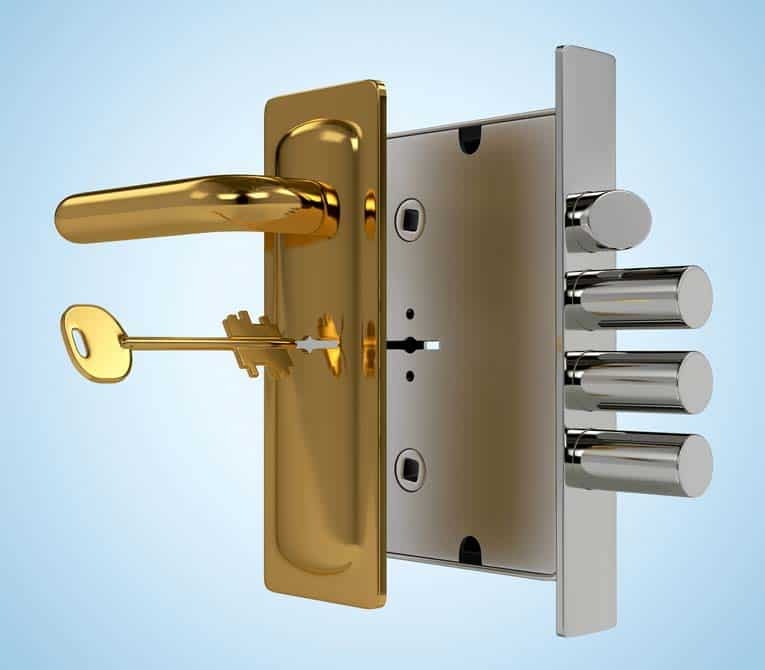 • Door and window contacts are magnetic devices placed along door jambs and window frames to trigger the armed alarm system if doors or windows are opened. Some systems include a chime that goes off whenever a door or window has been opened—very useful if you have young children with the urge to explore the great outdoors. • Audio discriminators are sensors that convert the acoustic shock waves of glass breaking into an electrical signal that sets off the system. • Sirens come in the form of bells, horns, or strobe lights. 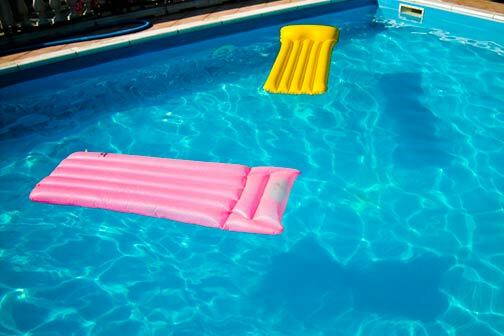 Sirens can be installed inside (usually in an attic) or outside the home and usually draw immediate neighborhood attention to an intrusion. 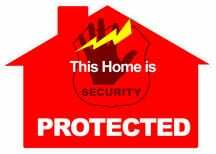 • Signs and stickers usually come as part of the alarm system package. Both are useful as warnings to potential intruders your home is protected. • A 24-hour back-up system kicks in if your phone line is cut or your power is shut off. There is also a back-up system that can maintain your alarm system using a battery for up to 72 hours. Back-up systems are essential if your home uses a VoIP (Voice over Internet Protocol) primary phone system because most alarm systems are not compatible with VoIP. A cell phone back-up allows the monitoring station to contact you on your cell phone. • Certain keypads act as two-way intercoms with your monitoring company, allowing for instant voice communication. Instead of phoning the house to verify an alarm, the monitoring company simply speaks to you over the intercom. • A remote control can disarm your system from a few feet away and without the need to enter a code into a keypad. The disadvantage of a remote control is that you cannot confirm if your system is on, which makes tripping the alarm possible. Also, if the remote control is stolen, thieves have an easy way to disarm your system. • A monitored smoke detector will send a signal to the central monitoring station if smoke is present in your home. Units usually have separate channels or zones for burglar and fire sensors. • There are two options if you have indoor pets. One is a device that can identify the difference between a human and a pet that weighs up to 100 pounds. It has a dual-element sensor, which requires two sets of beams to be tripped simultaneously. It is difficult for one pet to trigger both alarms; however, be aware that multiple pets playing or fighting could accidentally set off the alarm. The second option is creating a pet alley by placing beams high enough above the floor so that movement by a pet won‘t be detected. • A single video camera and monitor can be added to your system, as well as a complex closed circuit television (CCTV) with several cameras, multiple operators, and digital recorders. A home security system is a worthy investment for your home. There are a handful of house alarm companies that also manufacture monitoring equipment. These companies then provide their products to thousands of dealers that sell the equipment and install the alarm systems. Be wary of companies that install proprietary systems that they claim only work with their licensed monitoring systems. Also alarm companies that will not allow you to change your pass code on your own or switch to another monitoring company when your contract has ended. A good rule of thumb: Make sure your system uses non-proprietary components and you have access to all codes and programming features. A standard warranty should come with your contract and a 90-day guarantee on parts and labor. For an extra $100 to $200, you might want to consider adding an extended warranty for maintenance and repair that would cover any needed parts, labor, or base fees. Before signing-up with a company find out whether you will be required to sign a three- to five-year contract. Make sure you understand whether the contract allows fee increases during its duration, and whether there are penalties for breaking the contract before its expiration. Also find out what installed equipment you’ll be able to keep after the contract expires. Talk to three or four alarm companies and have them do a risk assessment to determine what your security challenges are and how to address them. Make sure the company offers to do an on-site inspection free of charge. Don’t even consider a company that tells you it won’t need to send a representative to your home. Get some references from previous clients. Did the company install the equipment within the given time frame? If there was an equipment problem, was it dealt with promptly? Was the system explained to everyone living in the home? If a client had an intrusion, were the police contacted immediately? Will the company send you notice before it sells your contract to another monitoring station? Get price quotes in writing and make sure they include set-up, equipment, monthly monitoring fees, and warranties. Expect to pay $1 to $2 per square foot of your home for a basic system installation and $25 to $40 per month for monitoring. Add an extra $10 per month for intercom communication. Add an extra $50 to $300 per month for dual-tech sensors and pet alleys. Add an extra $5 per month for fire protection. Add an extra $75 to $100 one-time-only fee for a remote control. 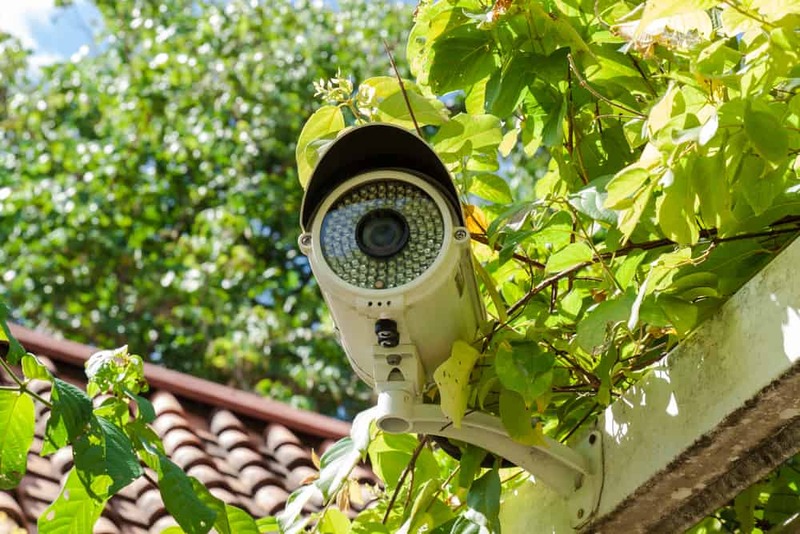 Set-up/installation fees vary according to the type of equipment installed, number of individual security devices included, and the size of your home. Expect anywhere up to $1,500 for a 3,000-square-foot house with a multiple set-up. To add fire protection, add $200 to $500. Be wary of alarm companies that charge an additional fee to connect to a central station. Typically, those fees are built into the pricing. Installation time varies, of course, with bigger homes taking up to three days, especially if no previous alarm wiring is present. In smaller homes (approximately 1,200 square feet), it generally takes a day or less if any pre-wiring exists. Wireless installation takes only one to three hours. Many police departments require two permits to have a monitored home security alarm system installed. The first is a state monitoring permit with the local police and the second is an electrical permit to install and monitor the system. Charges for false alarms vary by area; check with your local police about the policy.